With warmer weather around the corner, it’s about that time of year when we’re going to be baring a bit more skin. From short sleeves to skirts, our arms and legs are about to be on display, and that means they need some extra exfoliation and hydration. 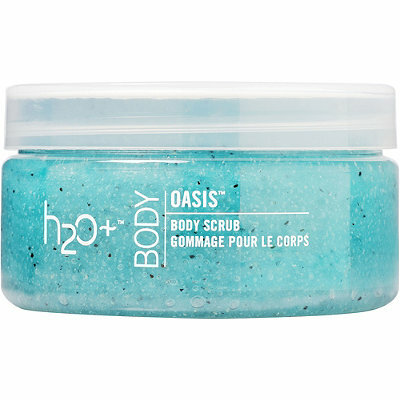 Some body scrubs can be rough on your skin, leaving you dry and irritated, but when we tried the h2O+ Oasis Body Scrub, we were instantly hooked. It has the texture of a scrub inside a hydrating gel, so you’re removing all of the dry skin as it puts moisture back into your body. Oil-free and packed with sea minerals, it makes your skin feel the way it should naturally feel: soft, smooth and quenched. With minerals, enzymes and antioxidants, it gives your fresh skin exactly what it needs to glow. If ever there were a time to step up the exfoliation game, now is it. Smooth enough for sensitive skin but tough enough to get rid of dry, dead skin, this body scrub is a must for anyone who wants their best skin ever.